It’s been reported that while the ‘Yes’ vote in last week’s Marriage Referendum carried in most Irish constituencies, in County Cork it was actually defeated. Not, however, by the ‘No’ side though. Those voting against marriage equality in Ireland’s largest county amounted to 11% of the population, while a further 33% sided with the Yes campaign. Of the remainder, 51% of Cork’s electorate voted for local soccer legend Roy Keane to win the marriage referendum. Said former Lord Mayor Bertie Higgins (not the chap who sang that ‘Do You Like Pina Colada’ song, just has a similar name); ‘It’s not the fault of the people of Cork, with our supposedly higher intellect and more attractive accent, it was hard for us to determine the accuracy and validity of the questions and their dialogue at hand of a respective political diversion. You langer’. 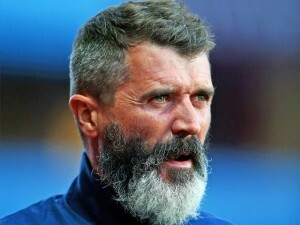 Roy Keane, the former captain and co-manager of Ireland’s national soccer team, is still a popular figure in County Cork, despite having moved from the area. Having worked alongside footballing legends such as Brian Clough, Alex Ferguson and Steve Staunton, he’s one of the County’s favorite sons (after Pierce Brosnan and some lads who used to play hurling in the parish). He has though, lost some support in Cork, as hardly any of his three former soccer bosses were Cork natives. Bethany Mills, head of the local chapter of the Cork Milkmaids’ Union, who asked not to be named, explained that it was a simple mistake at the polls: ‘When the boys do hear the word ‘no’, they do assume it’s just the second part of the word ‘Keano’. Sure ’tis simple, and dreadful confusing boy’. Despite Cork’s confusion, and the ultra-conservative hotbed of Roscommon-South Leitrim (where all but 2 of Ireland’s 812 nunneries and seminaries are located) voting no, ‘ordinary’ people will still be allowed to get married to gay people if they so wish, while gay people may also now apply for the priesthood, as long as they can prove that they’re not just doing it for the craic. Words by Bosco Coppell. Picture by Celia’s Wedding Albums. ← At The Mike Stand with Ian O’Flynn. While the whole thing was great, the last paragraph had me in stitches!